This premium house music series takes the listener through the different EDM & House Music genres. Presented by Toronto born DJ JAY, Each podcast brings you the heat on some of the best djs and tracks the world has to offer. 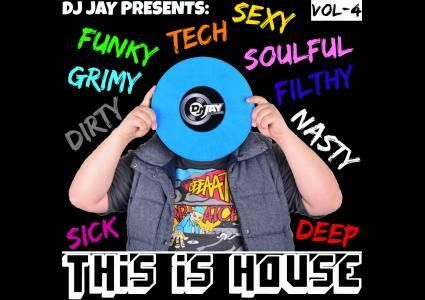 VOLUME 4 takes this new sound of "G-House" and bangs it out in this 1 Hour Mix. G-House the Sub genres of Techno, Deep House and Tech House Has elements of Gangsta Rap vocals and Adlibs giving it a very authentic feel. Let your inner Gangsta out and enjoy Vol 4 of THIS IS HOUSE.